As we draw closer to the NFL Draft, there’s a better idea available of which players will enter and which ones will return to college. The league released its list on Friday of players who are giving up their college eligibility to enter this year’s draft, and the number came to 135, a record high. On that list are some notable names that include quarterbacks Kyler Murray and Dwayne Haskins, but also star defensive players such as Ohio State pass rusher Nick Bosa. Much of the talk recently has been about the quarterback position, but the Giants also have needs to address on defense and Nick Bosa shouldn’t be overlooked as a player who can help fill those needs. It would be easy to make a comparison to Bosa’s more well-known brother, Joey, but that wouldn’t do the younger Bosa justice. Bosa is one of the top prospects in the draft on his own merits, not because of having a famous name. Bosa finished with four sacks this season, despite not playing in more than three games because of suffering an injury early in the season against TCU. The season before, he had 8.5, and focusing only on sacks would be understating Bosa’s influence on the game through pressuring the other team’s quarterback even on plays that don’t result in an actual sack. Bosa is one of the better athletic prospects on the defensive side of the draft and that plays into his skill at pressuring. The Giants still haven’t quite replaced the production of Jason Pierre-Paul, and with Olivier Vernon potentially leaving before this season, they could use help in the pass rush. That’s where Bosa could come in, and like Saquon Barkley last year, one can expect Bosa to have an immediate impact if the Giants spend their first round pick on him. However, for that to happen, Bosa would have to be available. 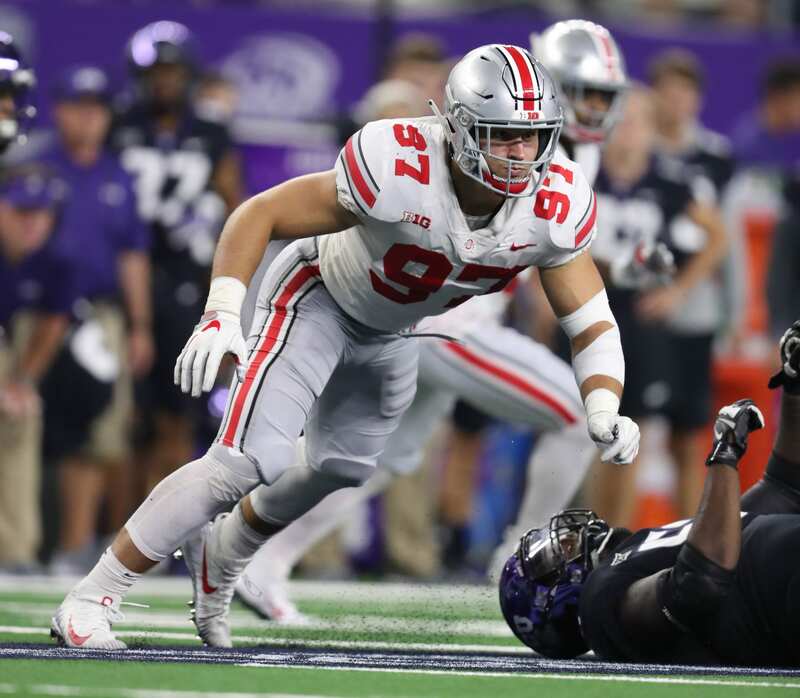 There’s no guarantee that such a player would be around when the Giants pick sixth overall, and that’s the biggest obstacle in the way of Bosa becoming a Giant. Did The New York Yankees Realistically Improve Their Starting Pitching?